Post-mortem lividity is purple patches which develop on the lower parts of a body. Blood circulation stops at death and the blood vessels are no longer watertight. The spots therefore develop after death after blood has moved from the body by gravity towards the lower parts of the body. Post-mortem lividity is initially mobile i.e. it can be reduced by putting pressure on the cadaver. This stops occurring after a longer period of time. 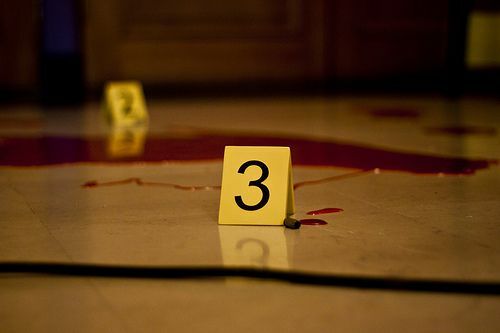 Post-mortem lividity is a tool used by the police forensic department crime scene investigators, that establishes time of death and whether or not the corpse has been transported.